Let's take a look at what it's like to study Norwegian versus studying German for an English speaker. Norwegian is the easiest language for English speakers to learn (besides pidgins, creoles and constructed languages) but German has a much larger population and can be used in far more places, and due to this many people who are interested in studying both find themselves torn between more easily learning a language spoken by a smaller population vs. putting in the effort to master a language like German and reaping the rewards of speaking Europe's most widely spoken mother tongue. First, a note on standardization and dialects. Unfortunately, both Norwegian and German have a ton of regional variants. Norwegian has two official forms, though bokmål is far more common. German is similar in that it has one form (Hochdeutsch, High German) that most people study and other official forms (Austrian German, Swiss German) that one needs to know when living in the countries where they are spoken, but not so much when not living there in the same way that you don't need to know much Nynorsk to live in Oslo. The Germanic language with the smallest regional variation is probably Icelandic. Norwegian word order is generally pretty fun for an English speaker since it's almost the same. Here's a good example from someone on a forum wondering what it's like to work somewhere. This literally means "I wonder on is there some(one) that has been and worked there before, that can tell (a) little on impression and how thing(s) really are there." The word order here is almost exactly the same as English. "Dann hätten Sie", meinte ich, "aber eigentlich doch Pfarrer werden können." "But in that case," I intervened, "you actually could have become a pastor. but a slightly more literal meaning is "Then you would have", I said, "actually could have become a paster." The exact literal word order is "Then would have you", said I, "but actually (emphasis) pastor become could." 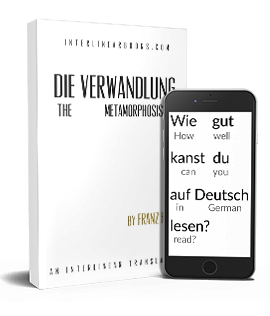 This is the way complex sentences work in German, with the main verb moving to the end in some cases, and the auxiliary verb moving to the end in others. Ich weiß das, was ich sprechen will. -- I know what I want to say, or literally "I know that, what I say want". So in most cases using Norwegian feels more like using English. The big exception to that is the definite article (English the), which is put at the end of words in Norwegian. In this way German feels more like English in the beginning when working with really simple sentences. Ich trinke das Wasser. -- I drink the water. Jeg drikker vannet. -- I drink the water. Vann is water, and -et is put at the end. Jeg har et eple. Et eple means "an apple", and you put "I have" before that and you're done. ...den frie encyklopedi som du kan forbedre. -- The free encyclopedia that you can improve. Viktor Janukovytsj blir innsatt som Ukrainas president. -- Viktor Yanukovich become/is inaugurated as Ukraine's president. Eine traditionelle österreichische Mehlspeise, die zu Zeiten bekannt war. -- A traditional Austrian dessert, which was known at the time. So in order to say "that" or "which", you need to know the gender of the noun. Here we lucked out because eine tells us that it's feminine, but if it was ein it could be masculine or neuter. If we're talking about a boat (Ein Boot), you have to know whether it's masculine (der) or neuter (das) in order to do this. Well, boat is neuter (das) so "Like a boat that lies in the water" would then be "Wie ein Boot, das im Wasser liegt". Not wie ein Boot, der im Wasser liegt. How would Norwegian say this? Easy. We can even use som twice. Som en båt som ligger i vannet. -- Like a boat that lies in the water. The first som means as or like, and the second means that or which. Ich schreibe den Brief. -- I'm writing the letter. In the passive voice it becomes Der Brief wird von mir geschrieben. -- The letter is being written by me. To form this, the student needs to first use werden and conjugate that, and then you put the past participle on the end. Here's another example. Eine Enzyklopädie, die von jedem geschrieben wird. -- An encyclopedia that is written by anyone. So to say this we need to remember that encyclopedia is feminine (luckily we know this from the previous eine so the student lucks out here), then von jedem (from anyone) then geschrieben (past participle) and finally the auxiliary wird on the end. Phew. So how do you form this sentence in Norwegian? Here's what you do. Ready? You put an -s on the end of the verb. En encyklopedi, som skrives av alle (som vil delta). -- An encyclopedia that is written by everyone (that wants to take part). That was easy. Norwegian has another way to form the passive which is blir (to become) plus the past participle), but the word order doesn't change so again it's just a matter of remembering each word instead of also having to rearrange the sentence. Here we're going to have to give the advantage to German. German has more consonant clusters than Norwegian and is technically harder to pronounce, but it just feels more certain than Norwegian to the student. Right from the beginning when you start with sentences like Ich bin hier (I'm here) or Was machst du? (What are you doing? ), it just feels nice and solid. That's probably part of the reason why imitating German accents is so fun for English speakers. The same sentences in Norwegian are "Jer er her" and "Hva gjør du? ", but they sound almost like "ya-eh-heah" and "va yeur du". Norwegian doesn't pronounce the t at the end of nouns when this is the definite article (huset for house sounds like hoos-eh), nor the g at the end of adjectives (farlig sounds kind of like fahr-lee), and on top of that has a kind of singsongy tone to it that added together sometimes tends to make the student wonder whether what he's saying really is correct. The student begins to wonder whether one can you really just go to Norway and introduce yourself with "ya-eh" plus your name, or is there some weird tone or stress issue that makes it incomprehensible to Norwegians? Can you really be understood talking like that? Hvordan har du det? (how are you) also sounds kind of like "vowdan ha(r) du deh", whereas German has a nice solid "wie geht's" (sounds like vee gets). Norwegian "that's true" is "det er sant" (sounds like "deh eah sant") while German is das stimmt (sounds like dass schtimmt). Note that Norwegian isn't particularly difficult to pronounce (no more so than your average foreign language, that is), but as the above shows the student needs to get used to navigating pronunciation in a fluid fashion that German doesn't force a person to do. Of course, personal preference probably plays a big part here. Few languages have as many resources as German, and you can learn the language online from beginning to end through Deutsche Welle's excellent resources alone. However, Norwegian does have a fairly strong online presence as well so it only looks small in comparison to German. Norwegian, Danish and Swedish are extremely close, so those two are almost part of the package when learning Norwegian. German has something similar with Dutch, though the two languages aren't as close to each other as the three Scandinavian languages are. However, Dutch occupies a bit of a middle ground between German and English, so an English student who has learned Dutch will notice cognates from both languages and will find Dutch to be remarkably easy to read after learning German thanks to this. Germans are generally fairly good at English, but Norwegians are often almost flawless. Suffice to say those without a clear plan won't find Norwegian to be easy to learn, as it's extremely easy to just use English with friends. Norway isn't part of the EU but taking a look at Denmark and Sweden (similar to Norway in this respect), we find that 86% and 89% of the population speaks English as a second language, whereas this is 56% in Germany and 58% in Austria. Forums often have sloppy and bad grammer though, which is the case with the first sentence you chose. The point you are making still gets through, it's just slightly inaccurate. "Jeg lurer på er det noen som har vært og jobbet der før, som kan fortelle litt om inntrykk og hvordan ting egentlig er der..."
"Jeg lurer på om det er noen som har vært å jobbet der før, og som kan fortelle litt om inntrykk og hvordan ting egentlig er der." "I wonder on if it is some(one) that has been to worked there before, and that can tell (a) little about impression(s) and how thing(s) really are there." Still, it's not good to say "foretelle litt om inntrykk", but I left that as it is not to change too much.